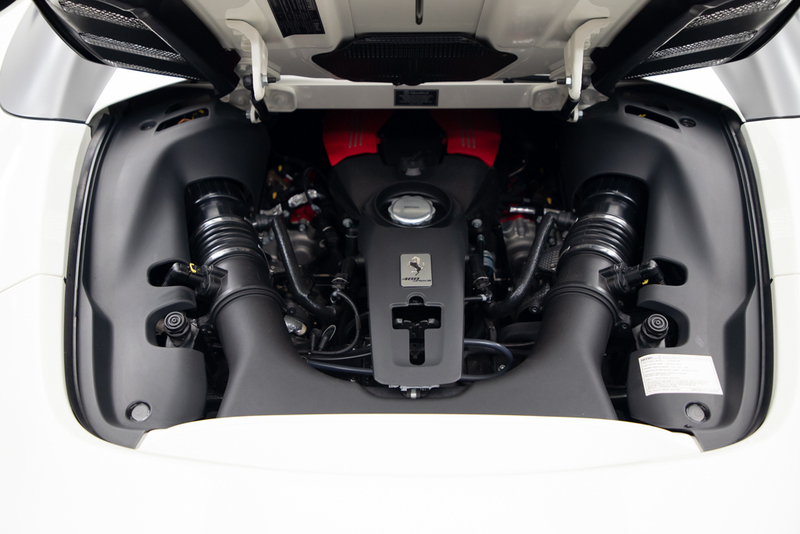 The 488 might not represent the first time Ferrari has gone turbo but arguably, this V8 twin turbo is one of the best sorted turbo cars with loads of upside potential for tuning. 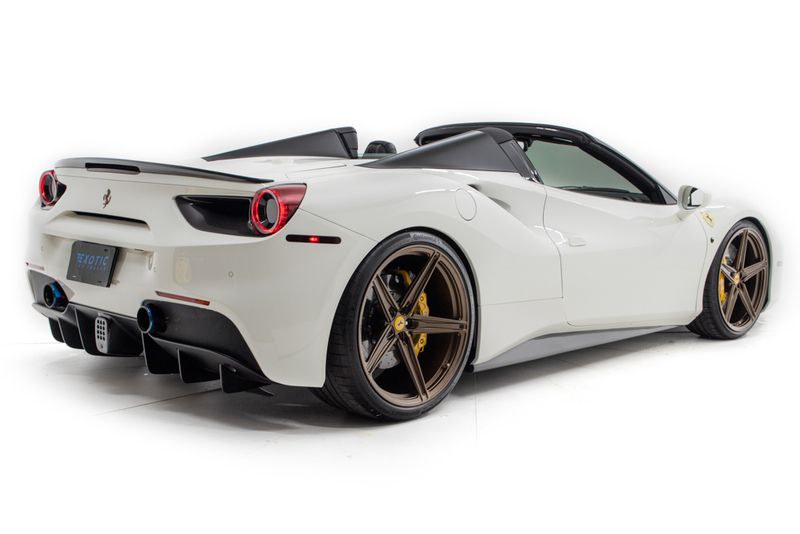 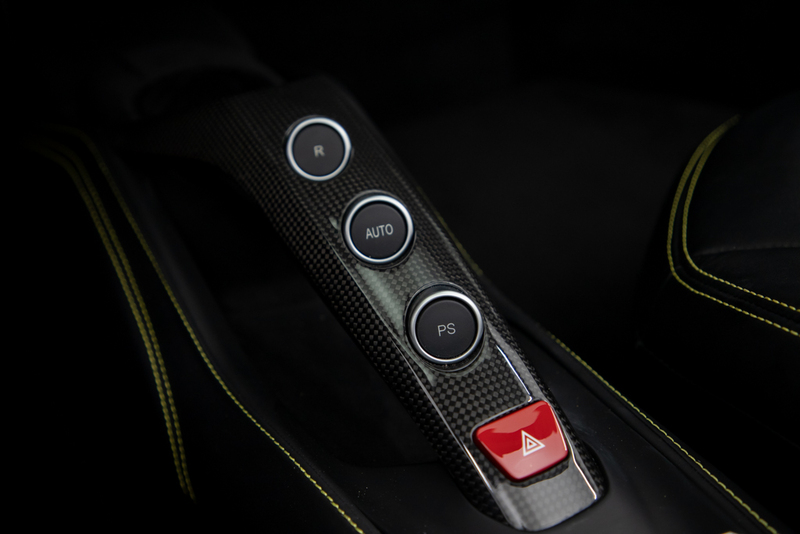 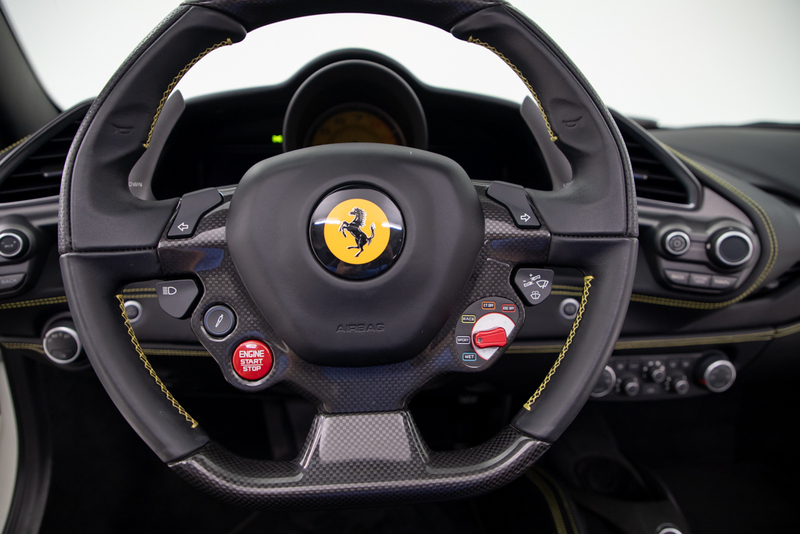 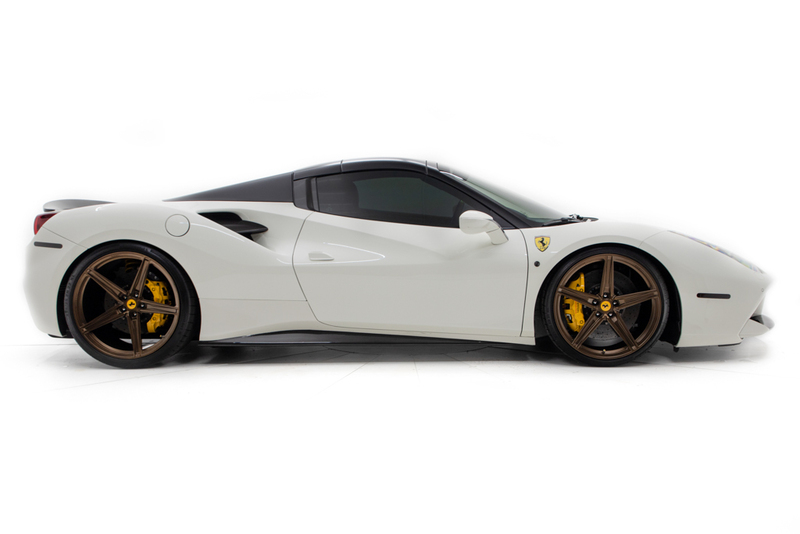 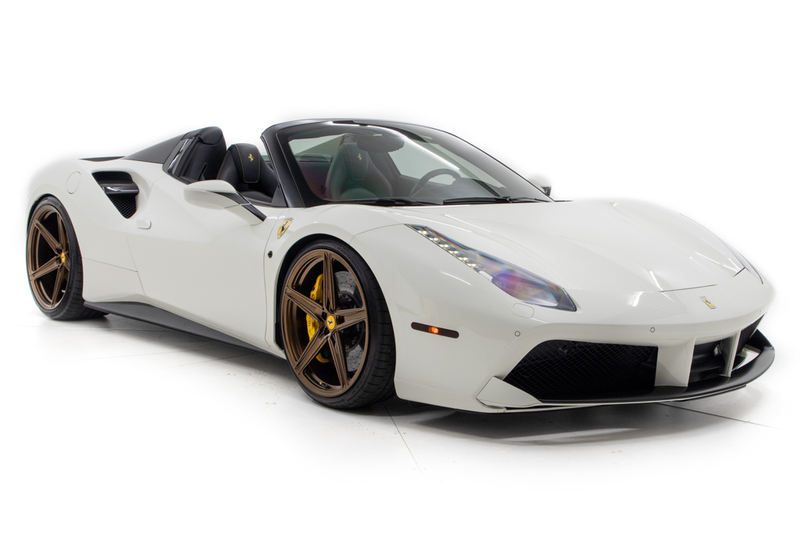 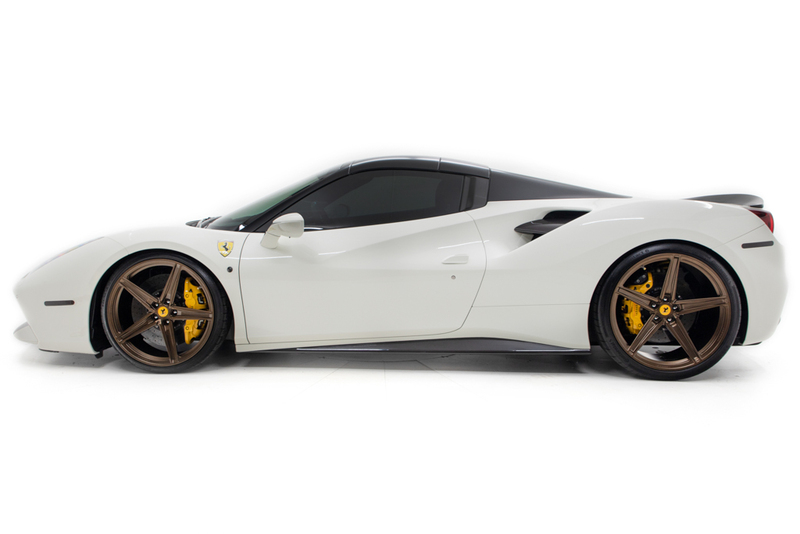 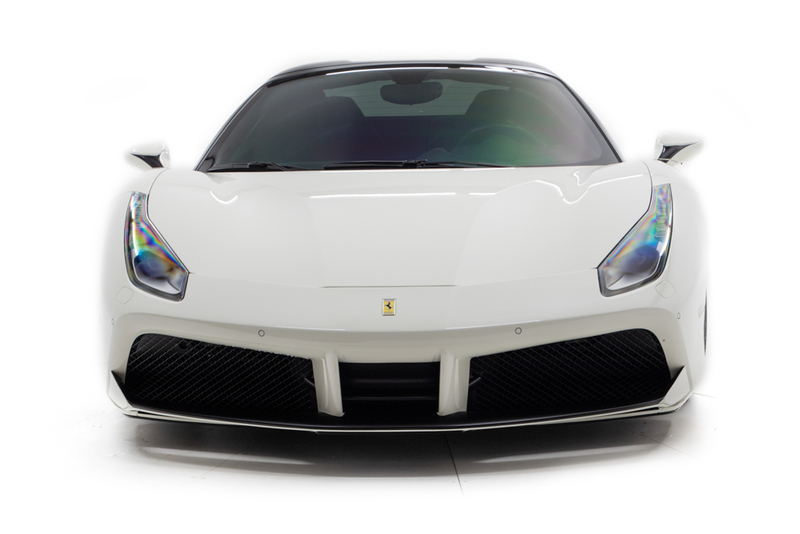 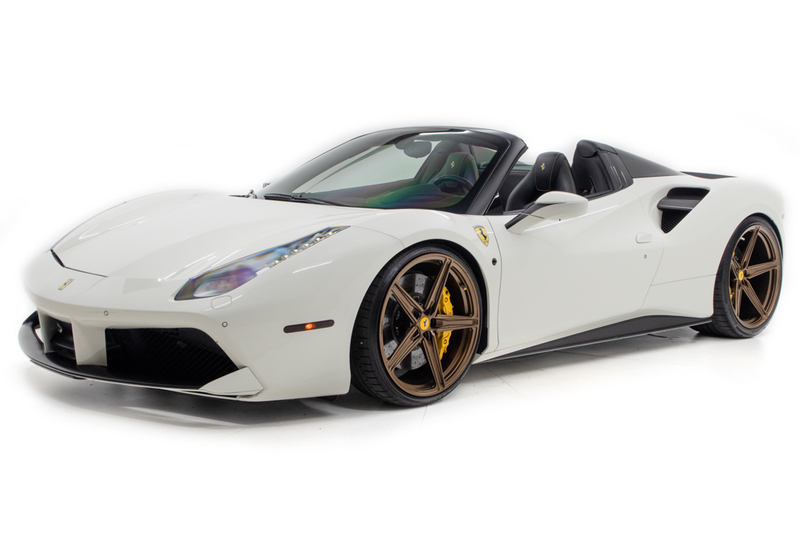 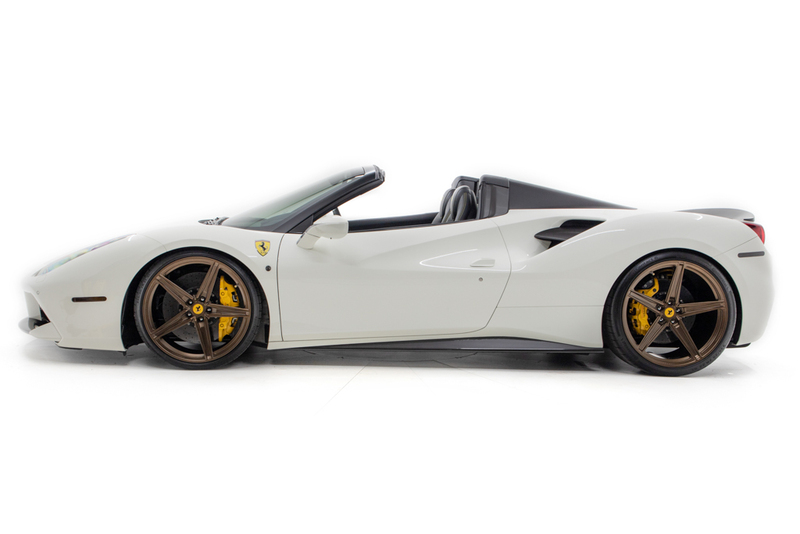 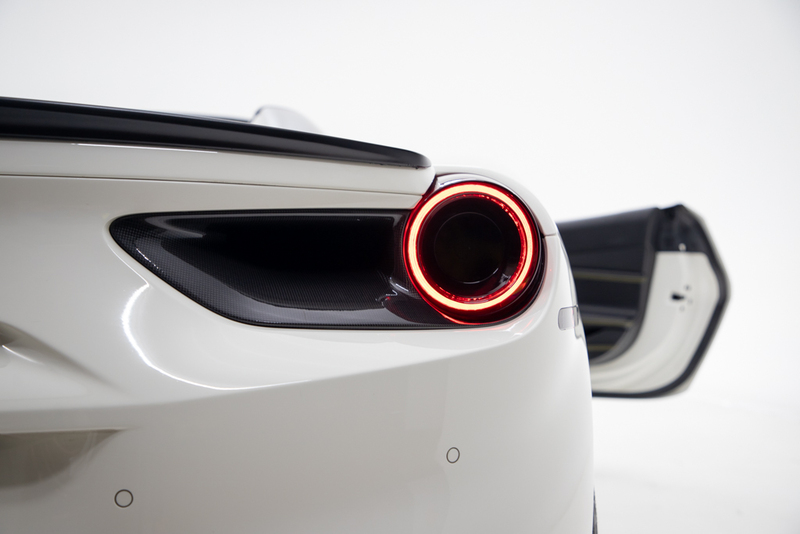 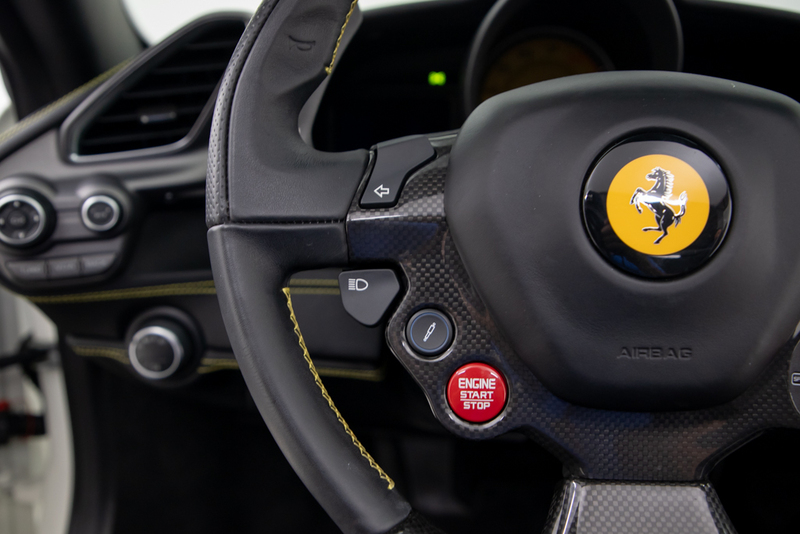 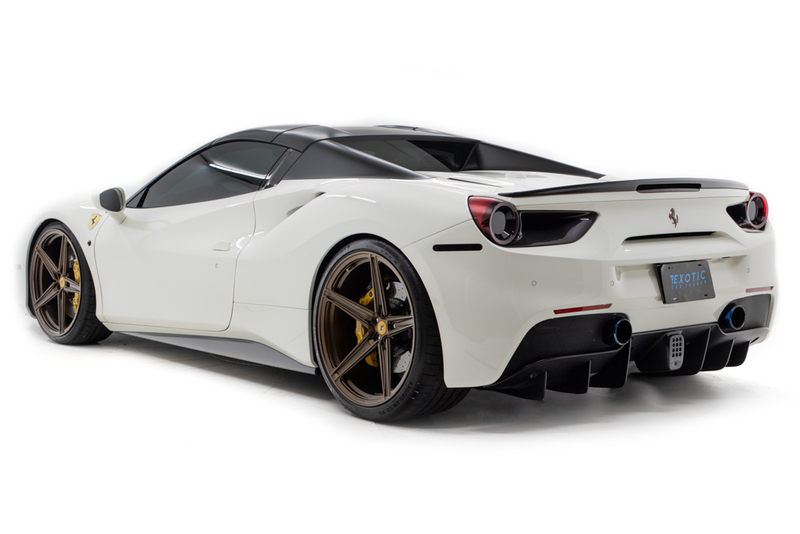 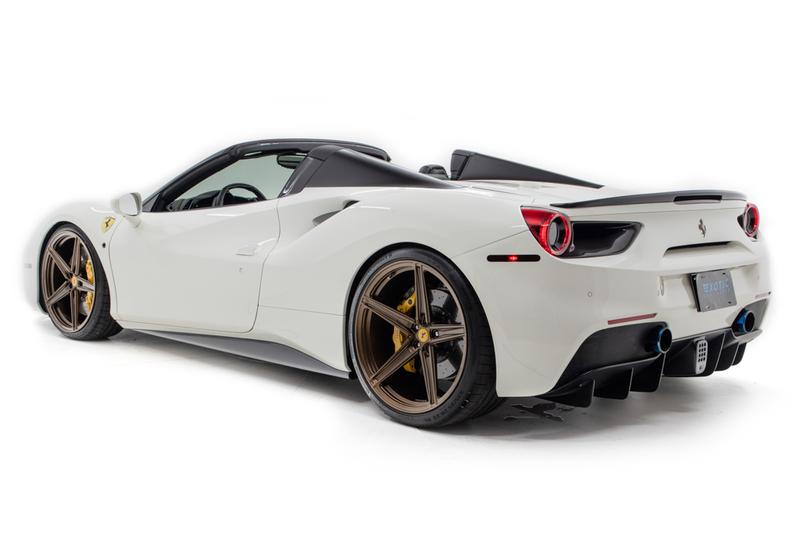 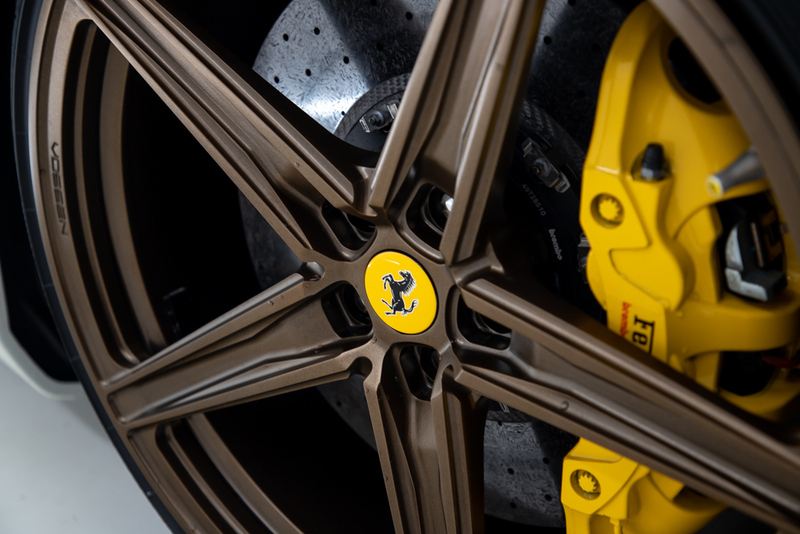 A trained eye will notice there are subtle modifications done to this 488 for sale done by pro techs to maintain the reliability and ramp up the performance of the already outstanding Ferrari 488 Spider. 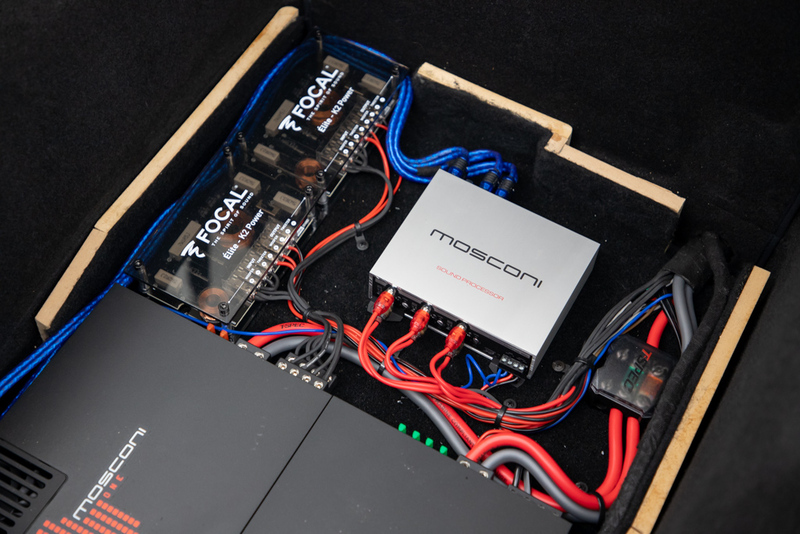 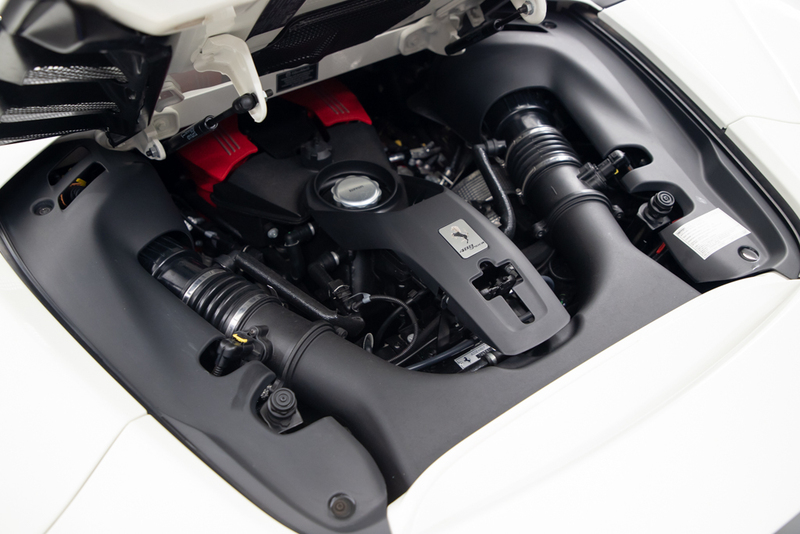 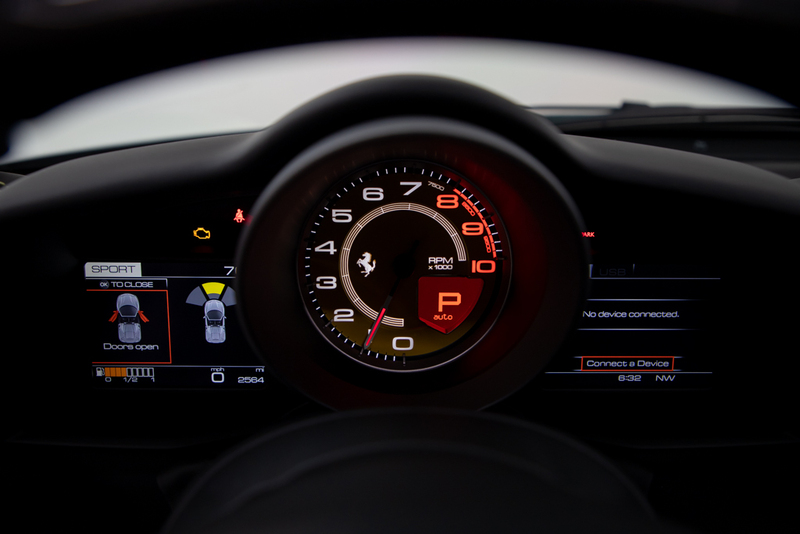 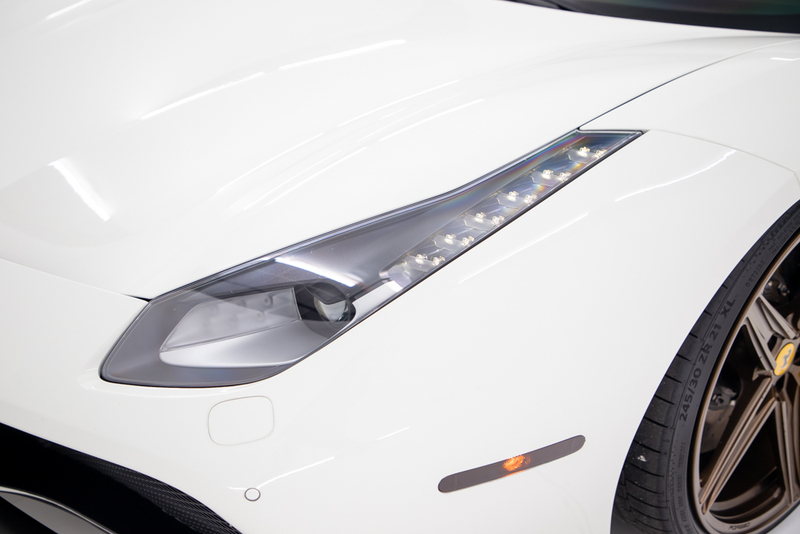 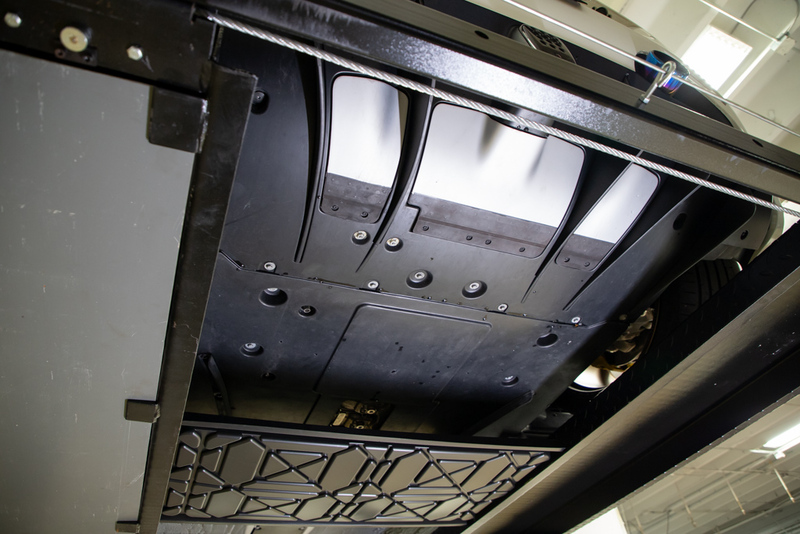 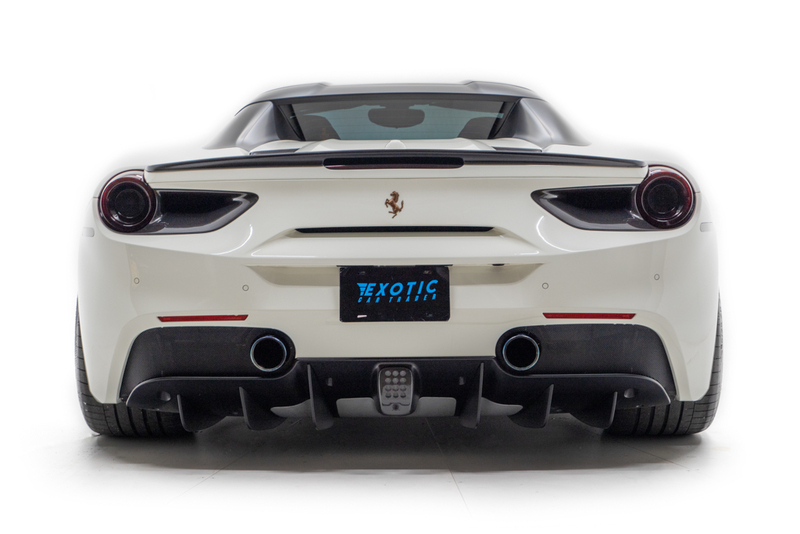 The 3.9L twin turbo V8 produces 670 horsepower out of the box and has been hyped up with an IPE Titanium exhaust and catless downpipes for a decidedly aggressive sound, quicker response and uncorking of Ferrari power. 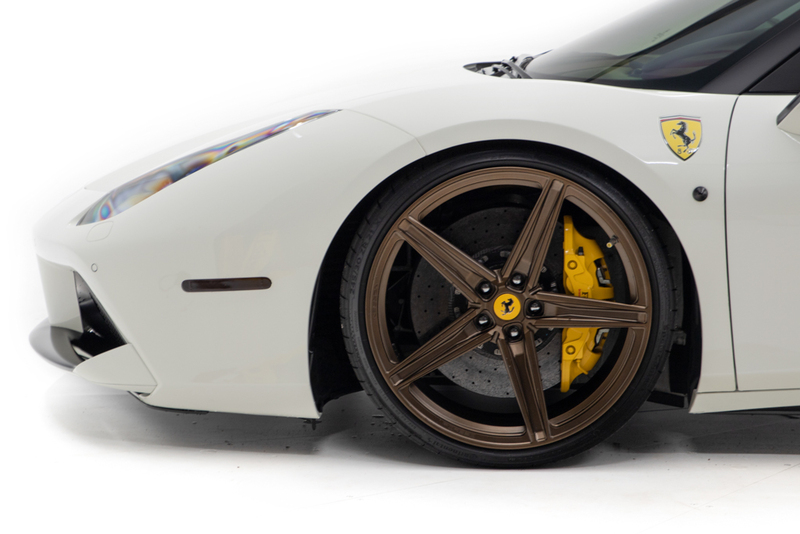 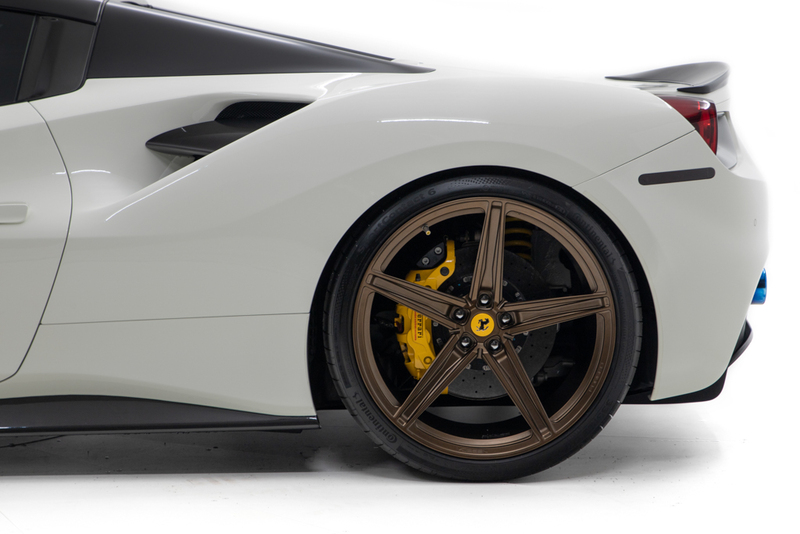 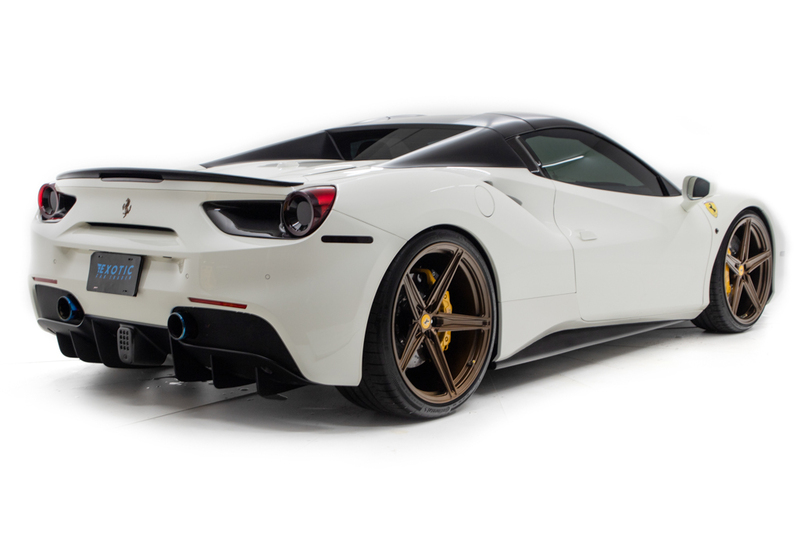 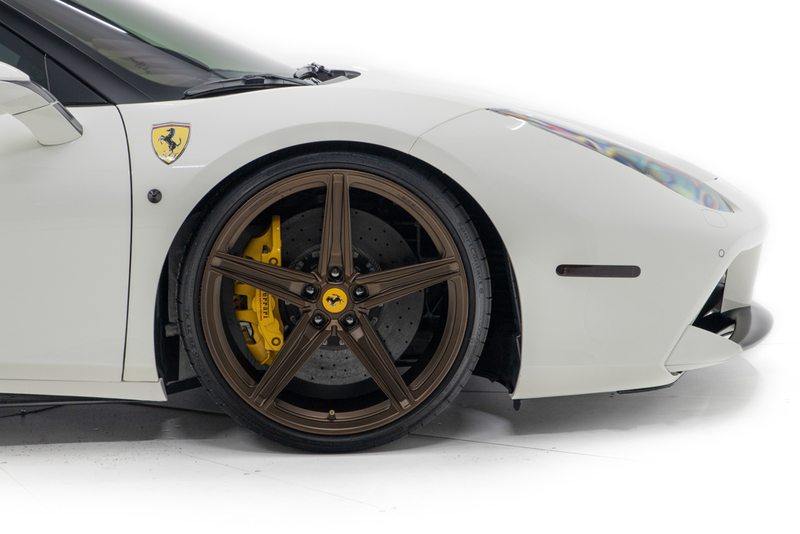 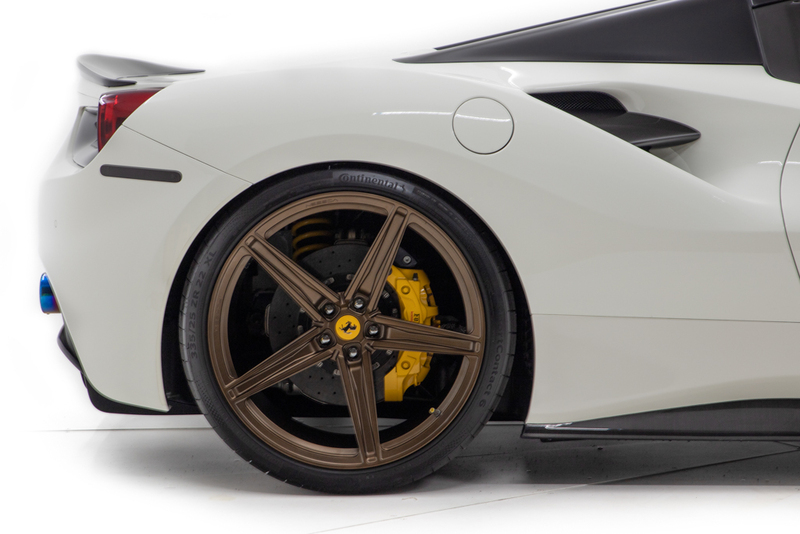 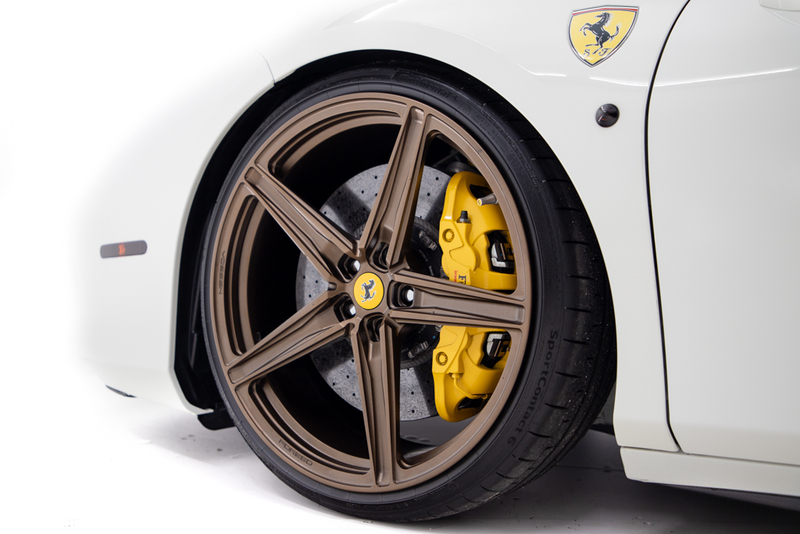 Outside we see a number of upgrades to an already sleek silhouette with a German-made Novitec coilover suspension to properly frame the 22-inch / 21-inch inch Vossen wheels finished in deep bronze. 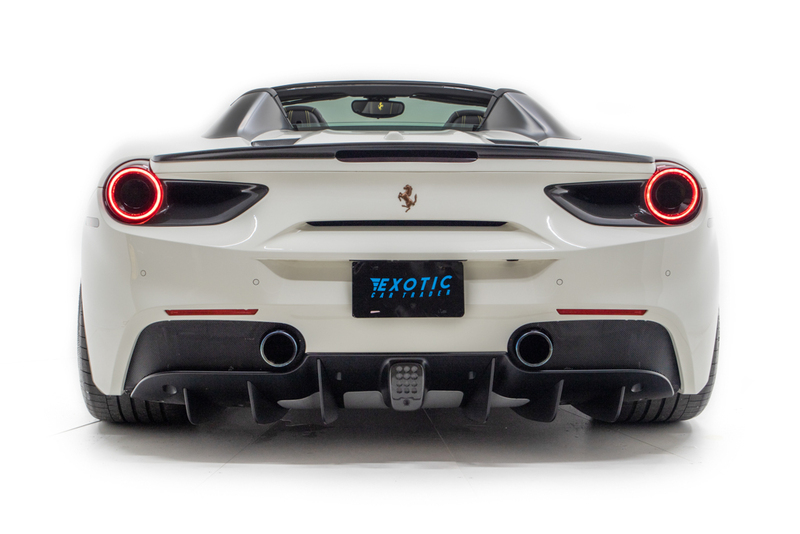 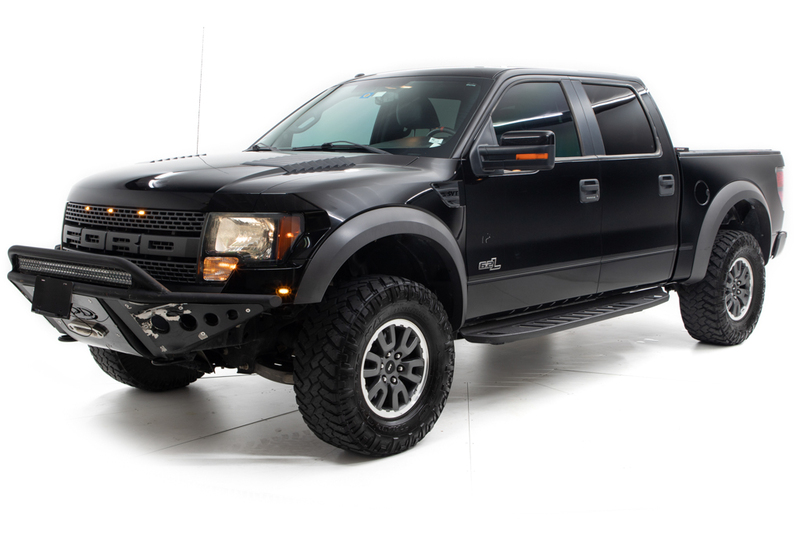 A set of Novitec carbon fiber sideskirts and carbon fiber tail light surrounds were added along with blacked-out side marker lights. 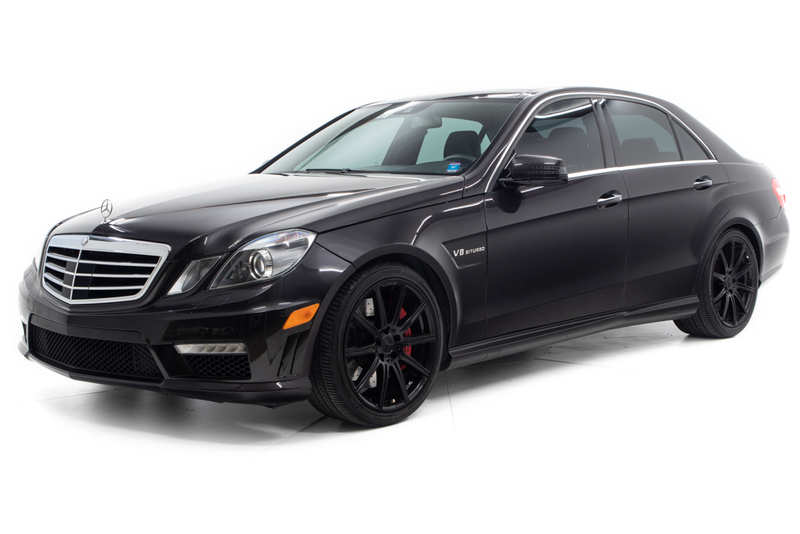 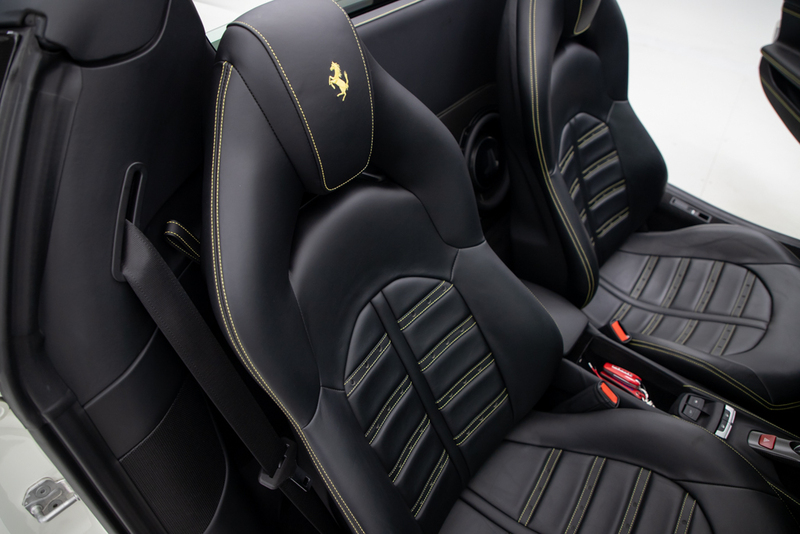 The rear cowls and roof have received a matte black wrap treatment to differentiate this Spider from any basic hardtop. 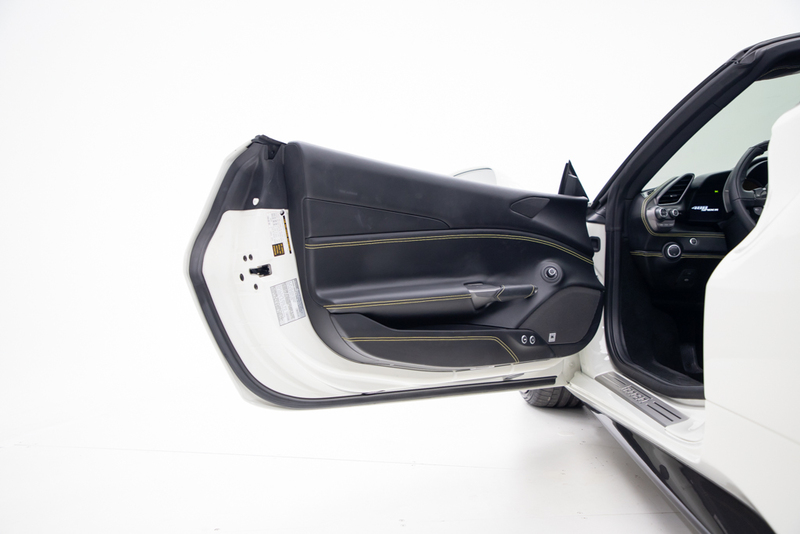 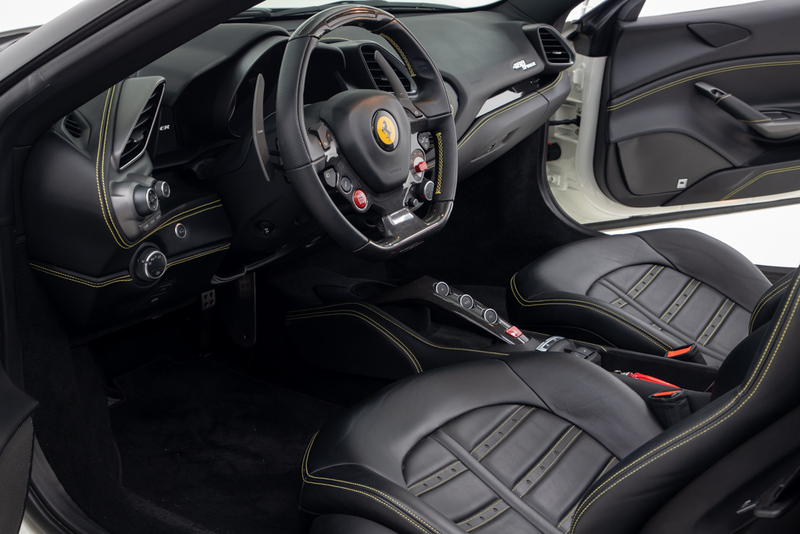 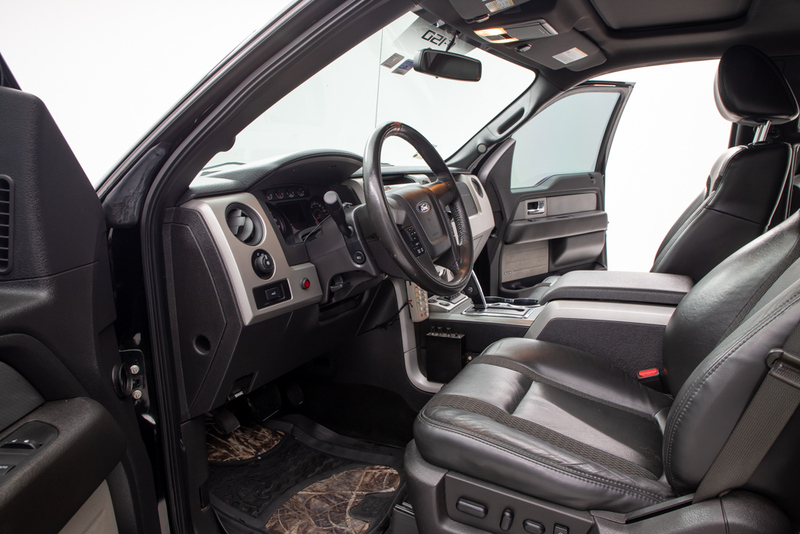 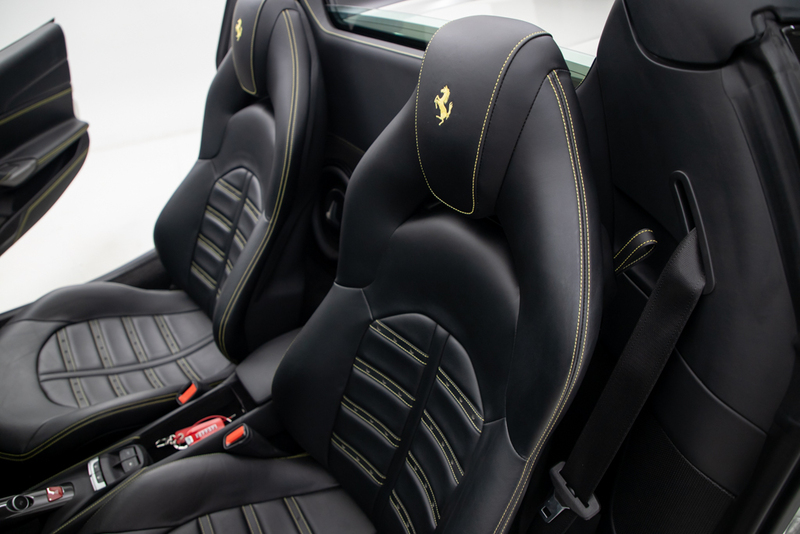 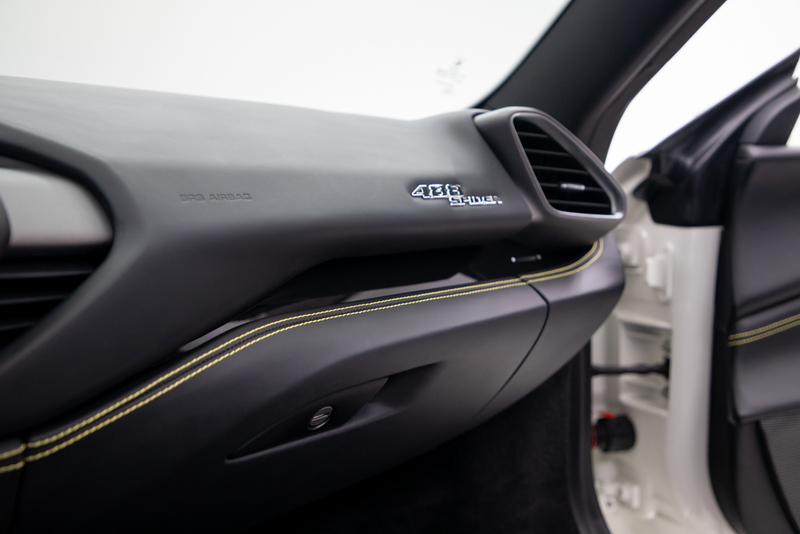 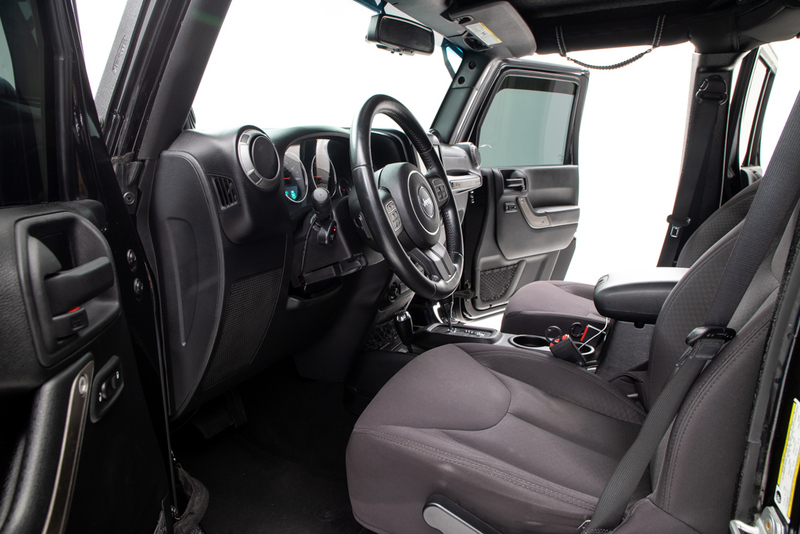 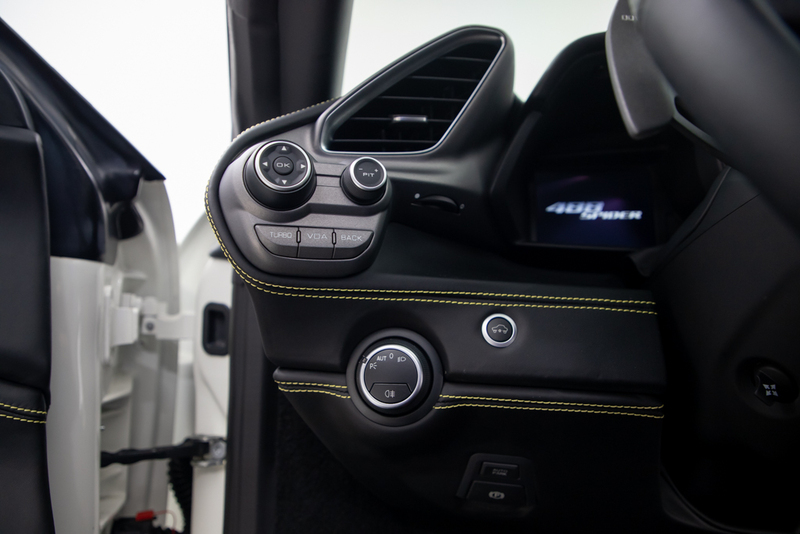 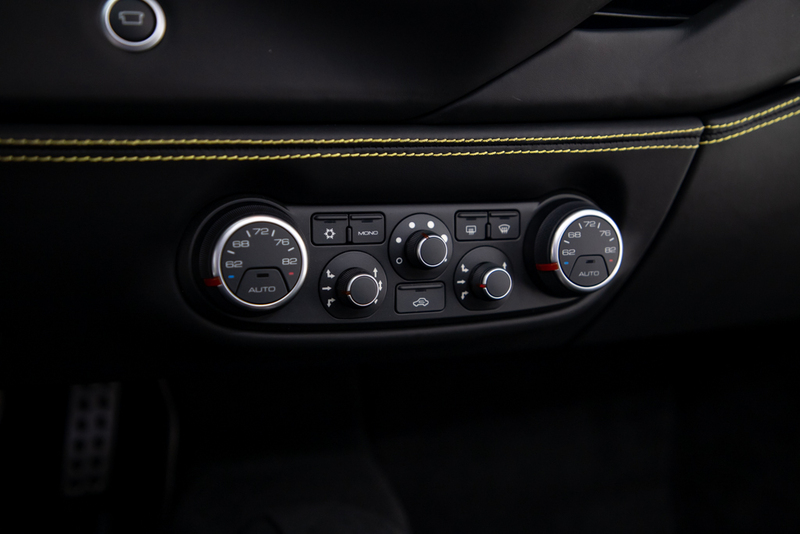 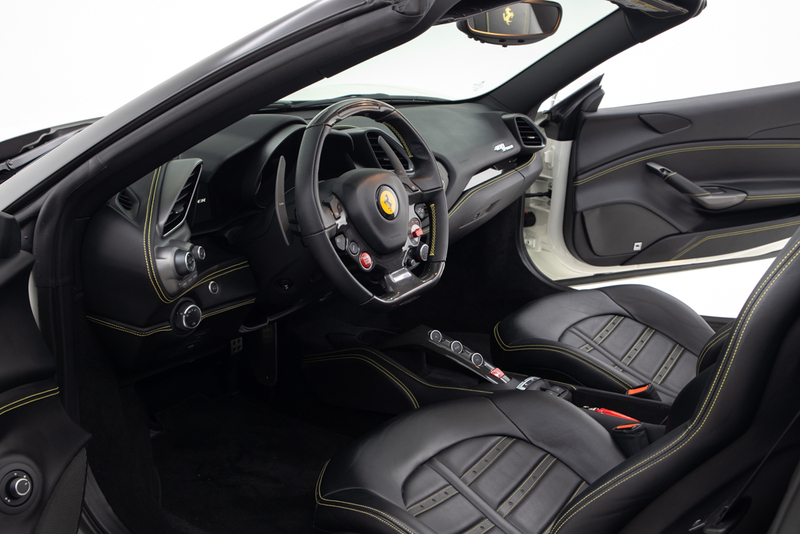 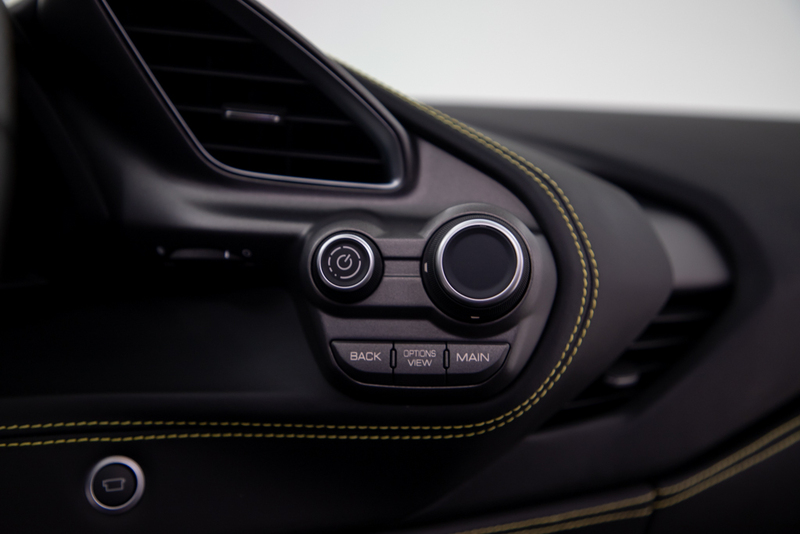 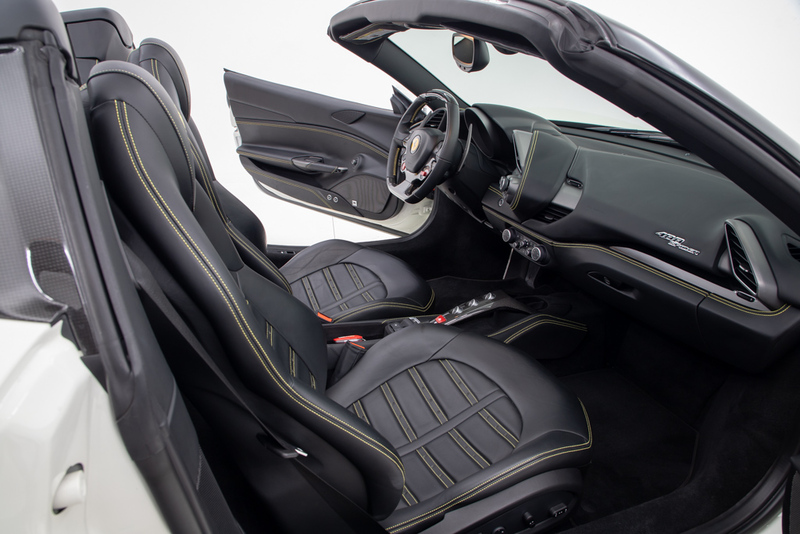 The luxury interior features factory-option yellow stitching throughout and an upgraded sound system for more low-end punch. 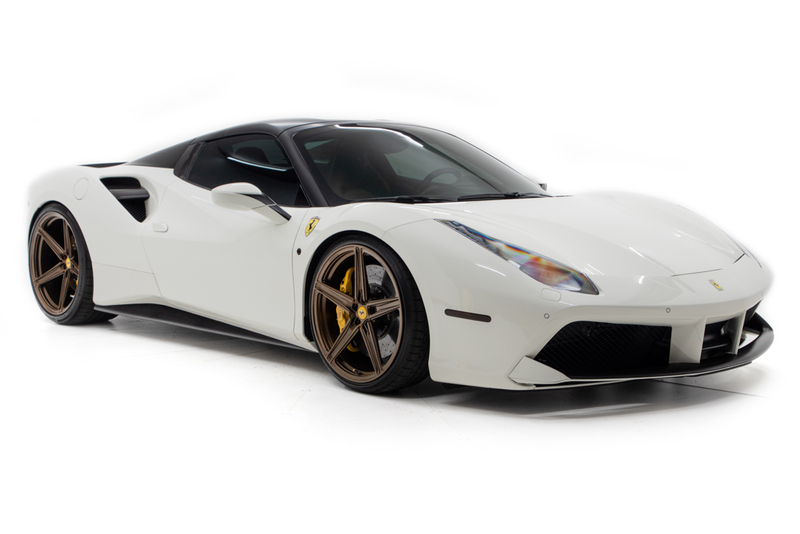 With spotless vehicle history, clean CARFAX and only 2,950 miles currently, this is one Ferrari 488 guaranteed turn heads and set itself apart from the crowd.